Poor little Kirby just wanted a relaxing afternoon with his strawberry cake, but someone went along and stole it. Turns out it was the infamous Squeak Squad, thieves seeking many, many treasures… ones far more valuable than strawberry cake. Kirby: Squeak Squad (AKA Kirby: Mouse Attack in Europe and Hoshi no Kirby: Sanjō! Dorotche Dan – 星のカービィ 参上! ドロッチェ団 Hoshi no Kābī Sanjō! Dorocche Dan in Japan) brings back Kirby to his roots of 2d platforming after the very different gameplay of Cursed Canvas. This means a return to his jumps, air glides… and his voracious appetite. Like most Kirby games, he is quite useless as a pink blob; his true power comes from inhaling and absorbing his enemies’ powers. There are power-ups lying around the levels that can give Kirby the power immediately. Some are just there and essentially act as if you absorbed an enemy; some are protected from hungry, hungry Kirby with a bubble. Everything the protagonist eats goes straight into his stomach, represented by the lower screen. Berries, Life Ups, roasted chickens, even enemies (although Kirby spits them out after their powers are absorbed). The most important thing Kirby’s stomach is used for, however, is storing and mixing together the bubble-protected Copy Abilities, allowing the pink ball to save them for a later obstacle or boss. The graphics and music take advantage of the DS’ hardware to create cute and cuddly visuals, with eye-popping colors and beautiful, adventurous music. Even the enemies look harmless – most of the time. The Squeak Squad, however, is probably the most irritating bunch of mice ever created in a video game. See, Kirby also stores treasure chests in his stomach for opening later… if any member of the Squeak Squad hits him, however, our friend regurgitates the treasure and the mice steal it… meaning Kirby has to chase after them to get it back. Repeated instances of these make the game feel unnecessarily long and repetitive, even if the main fluff of the game is varied enough to keep your attention. Overall, this game is a worthy addition to Kirby’s myriad of good games. 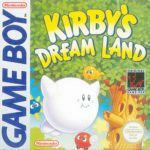 Kirby: Squeak Squad game has been ported to NDS (this version), and Nintendo Virtual Console.